FOOTWEAR DESIGNER & INNOVATOR FOR NIKE, ADIDAS, REEBOK, KANGAROOS AND MORE. Ray is steeped in footwear design as his career path spans from the early 80’s at Nike into the mid 80’s with a ‘jump’ into KangaROOS and held the wheel there for a number of years before moving over to run design for Adidas USA. He has also managed footwear design departments for Reebok International and Rockport. Ray is now a product consultant and also a partner with UTurn Sports LLC Licensing in the US. Hey Ray good to finally get these questions to you it’s been some time coming. I studied Industrial Design in College thinking I was going to go into consumer products or furniture design. I also always had a real interest in sports. This was before Industrial Designers were working in the footwear industry so I never ever thought of a career in shoes. I had however run the NYC Marathon wearing a pair of bright yellow Nike LDV’s so I knew something about the brand and then I heard they were looking to bring in Industrial Designers where none existed before. Soon after that in early 1980 I was hired by Bob Woodell and found myself working in Exeter, New Hampshire, as the third Industrial Designer the brand ever employed. Found myself thrown in and learning on the job, exploring and designing sneakers in what was then a very entrepreneurial environment. At the time, being a Nike designer was a mix of designing, making material decisions and then for myself a dose of product management mixed in. It was all about exploring new ideas, conceptualizing, drawing shoes and working on new synthetic materials, leathers, moulding techniques, etc. Worked closely with manufacturing as that was actually taking place a floor below us onsite in Exeter and at another USA facility in Maine. I evolved over my Nike years from designing shoes and components to working on what we termed “Advanced Concepts” which were those blue sky ideas not tied into a particular seasonal timeline. So can you explain the design process on how a model from creation to prototype worked. As industrial designers we would take influence from non-traditional footwear sources, other industries and the world around us. It was really about figuring out the needs of the athlete/consumer (dependent on category), recognizing potential markets and figuring out innovative forward thinking product solutions. It was a process of conceptualizing, tinkering, creating through prototyping to turn it into something real and meaningful. Then it was the process of getting the shoes out on testers, getting feedback, evaluating, modifying and refining. A lot of talented people began the same way with their footwear education starting in Exeter. Some (like Mark Parker) are still with the Nike brand. Many others have filtered through the industry to leadership positions across so many other companies. How were you designing, pencil, pen, DTP, CAD etc. There was a CAD system in house but at the time I believe it was used for grading sizes runs and molds. During my time with the brand, our footwear design was done by hand. Old school…Pen and pencil! It would sure slow things down now but I think hand drawing skills are still of importance. Creative people can be too often disconnected from craft. Have you any insight into the naming convention that Nike had for their models. Back then I don’t think there was a science or any marketing wizardry behind the naming process. I mean you wanted a name that spoke to how the shoe was supposed to perform, the purpose it was designed for or the inspiration/ideology behind a particular design. Its funny looking back on it but I recall if you came up with a name that stuck and made it to retail, Nike would reward you with $100 for a great dinner at a nice restaurant of your choosing. Food was a great incentive for young designers! You mention that you were involved in the creation of some of the AIR products. What were your favourite elements within the construct of the models. The air bladder was a unique technology and many times we were designing on the fly new ways to encapsulate and built the tech into a shoe. What worked specifically for running didn’t necessarily work for court sports, cleats or casual footwear. We worked direct with the guys who engineered and manufactured the bladders, tinkering with the bladder shapes and pressure and methods of encapsulating the units. You also mentioned that you were involved in the Nike casual models. Was this the first time Nike made a deviation away from Athletic shoes. In the late 70’s-early 80’s, Nike athletic shoes and running shoes in particular ate into the traditional “brown shoe” market. People found these lightweight, cushioned running shoes more comfortable then wearing traditional leather shoes. Since people couldn’t however get away with wear running shoes all the time, Nikes idea with the air casuals was to blend air and athletic comfort with more traditional leather uppers to kind of offer the best of both worlds. It was really the first time Nike tried to make a play into the more traditional brown shoe market. I wasn’t really involved in the sales end of the business but with one Nike sales force carrying a lot of shoes, it was tough to give attention to the casuals when calling on the sports shops. They were great shoes with a leather Air program manufactured in the USA and “Shoes for Seasons” casual athletic derivatives coming out of the Far East. At the time, the casual product just never got the attention with the brand being so athletically driven. During this period where were the majority of the athletic shoes being produced? USA or the FAR EAST. 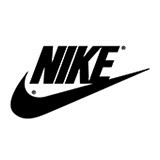 By the early 80’s, a majority of the shoes were already coming out of the Far East but Nike was also manufacturing running and specialty promo shoes in Exeter, NH and production in Saco, Maine in the USA. It was great for new athletic designers to be able to walk the factory floor and gain first hand shoe-manufacturing experience without having to travel 24 + hours overseas to the Far East. What would you say was Nike’s USP at that particular time. Nike Air Bladder and other materials used? The designs themselves. Like the inside tongue label said, When you bought Nike, you are buying shoes manufactured to the specifications of championship athletes. It was all about the products ability to perform and serve the athlete. Innovative design, materials and tech like Air were a big piece of it in conjunction with getting the shoes on the feet of highly visible top athletes…Well if they were on top the pyramid it all filtered down from there to the consumer. At the time who were the big endorsers in the field of the court shoes – McEnroe etc. Did it feel like each brand had to have a big player as the face of the tennis ranges? Having a top player in such a star driven sport, for sure added to a brands credibility. With court sports I wasn’t dealing with the endorsers but I recall custom shoes for Jimmy Connors being made in Exeter. And for sure John McEnroe wearing the Nike Wimbledon in the early 80’s. Adidas had their Laver and Nastase products and of course their Stan Smith shoe which had already sold huge quantities by the early 80’s. Bjorn Borg was a dominant player then but he was wearing Diadora which never had a huge presence in the states. So favourite models in the timeframe you worked at Nike. To this day I can still remember the original Air Tailwind running shoe. Well maybe it was the 2nd generation as the originals had a mesh issue and blowout problem. When I started in product at Nike one of the first things you did was to head downstairs to the sample room and build your own pair of shoes. Pick from the stacks of materials, die cut the parts and then see how your shoes were stitched and assembled. My first pair was a Tailwind and back then I thought building your own custom pair was the coolest thing ever! But really there were so many innovative Exeter designed products with new features that now seem commonplace that its tough to choose. The entire first line of segmented tech running stuff was great and the first outdoor line with the Trip Allen designed Approach and Lava Dome, I loved those shoes! And pick 3 models that you either designed wholly or had a part off (what parts) that either went into production or didn’t. 35 + years ago I did a number of the “Shoes for Seasons” casual lines. They were athletic derivatives with cool colors and materials. I still have a pile of sketches someplace and some of the best of it never got made but looking back on it now and what’s still cool today, this stuff would still work. I also did considerable componentry for other shoes such as parts like soles of the Air Aurora and Columbia running shoes, Euromatch football cleats, etc….I always enjoyed jumping around amongst categories! First off I have to ask the zip / pocket idea who designed it and when did it first come into production. I think it was 1979 the first shoes hit retail. Bob Gamm started the brand based on his pocket concept as a place to store a key or some cash in your shoe while out running. They created a nice niche as an athletic brand more for the shoe store trade and by the early 80’s were selling in the range of 750K+ pair a month. What was your involvement in Dynacoil? Bob and the guys who started Kangaroos were experienced shoe people and that was a pretty different world from the performance athletic types I was dealing with at Nike. They brought me in from Nike to drive more the performance athletic design. We worked with a spinoff division of the space program (NASA ) to develop Dynacoil for footwear. Back then I pretty much did it all which with Dynacoil meant a lot of Far East travel, figuring out the encapsulation, sourcing the spacer material, designing it into the shoes and building those shoes. Thirty years ago, Dynacoil was pretty innovative stuff especially for a brand trying to get more serious with performance product. What were your main challenges with a smaller brand. How did the design process differ from that at the global giant Nike. It was so different! As opposed to Nike and their having multiple designers segmented by category, when it came to Kangaroos design of performance product, I did most everything. Designing entire shoes across multiple sports categories and heading to the Far East perhaps 5-6 times a year to prototype and prep for manufacturing. I was also involved in sales and marketing presentations and much more involved in the business side of things then I ever was at Nike. With a small company, I learned a lot about many areas of the overall footwear business that were new to me! The biggest challenge however for the Kangaroos brand was being taken seriously for performance product when they were already so successful with the shoe store and pocketed kids biz. It was a great idea. Kangaroos built a 100M a year biz on the uniqueness of the pocket so it’s tough to fault. At the same time, when taking performance, the pocket was in fact at times a deterrent to success with the performance retailers. There was talk of splitting pocketed Kangaroos product from a separate Roos performance line but it never happened. The brand had some great performance product, a world class running team, Clyde ‘the Glide’ Drexier in the NBA, Walter Payton, the Chicago Bears and numerous other top American football and baseball athletes wearing the shoes but it never translated into true commercial success in the performance retail market. I’d have to say the first Dynacoil package of running, walking and a basketball shoe were some of my favorites. Just knowing the amount of effort that went in to getting those shoes developed and commercialized was something else. There was a full page Dynacoil article in Business Week and the shoe was given a Runners World top shoe rating I think in 1986. That was big stuff back then! Personally I also really liked designing the cleated American football line as we had a complete range of performance product for multiple surfaces and playing positions. I built Kangaroos product such as the Swish and Dazzle basketball shoes or numerous casual running styles and boots that were far bigger sellers then any of the tech shoes but the tech work was my favorite! Your time at Adidas was probably when the brand was at its most popular in Europe. How was the brand fairing in the states at that time. I joined the brand to run Design not long after they had a consolidation of distributors here in the USA, a new management team was put in place and a corporate US office opened. It was a trying time for Adidas in North America with considerable on time distribution issues to work through. Also, before this time, the shoes had been designed in Germany or France and those products or derivatives of the same were brought in to the USA. There was not a lot of emphasis being placed on innovative product, built specifically and in colors for the USA market. I recall a good example was the first line of torsion running shoes developed out of Germany. Great shoes with innovative tech but across the board, the colors were so off for the US consumer yet Adi USA had to bring in the same global color ways as Europe and the rest of the world. Was there a different strategy for footwear design in the states compared the likes of GB and Germany. There were actually three differing footwear design groups working simultaneously while I was at Adidas. In Germany, France and then the USA. With talented people and differing resources, we split the projects along the lines that made the most sense geographically amongst key categories. So as example the USA might take the lead in basketball, training and some tennis design while Germany did the same with soccer and running. I was the first Industrial Designer that Adidas hired globally. I brought in some great industrial design talent into Adidas USA who later made a bigger splash for themselves later on in their careers post Adidas. We did some good shoes and had a strong creative team with some smart and talented guys including Eric Avar (Nike), Steven Smith (Reebok Instapump Fury designer), and Charles Johnson (Puma Innovation) amongst others. So when you joined in 1988 where would Adidas have been in the ranking of athletic footwear. Would Nike still be on top. Yes Nike still held that ranking. Adidas still had geographic areas of strength and some highly visible global athletes such as Lendl, Edberg and Graf in tennis, Kareem and then Patrick Ewing in basketball, the worlds best soccer players and the whole Run DMC thing happening in the states. It wasn’t however until a few years later with Adidas Equipment and a consolation of all product and marketing resources globally that Adi really got back on track with a unified message. And actually at the time you mention in the later 80’s, Reebok was still very strong in the USA and giving Nike a run for their money especially with the white leather fitness craze. Regarding the Adidas Torsion range, most Torsion shoes were designed in Germany and for sure all the running. USA did most of the basketball and besides overseeing the USA R&D I designed here and there. Frankly its been so long Im not sure if the ones I drew (that I sent you) were the Edbergs but they may have very well been. I know they were the ATP endorsed product. You mentioned you did less hands on design at Adidas and then later on at Rockport and Reebok. Was this by chance or by choice? I gravitated into more of a management role overseeing designers and the footwear design process while Design VP at Adidas. At times I still got on the board and designed but frankly I enjoyed more the bigger picture of overseeing the people and creative direction for an entire line rather then a focus on designing individual products. Designing a successful product is never a solo effort and my involvement and liaison with other facets of the business as well as hiring and mentoring young designers was a good fit for me. This continued to my overseeing footwear design at Rockport and the same for five years at Reebok International during which time I designed the first DMX shoes which were the brands biggest selling tech products in ’95 and ’96. Also oversaw Spin Vector, Light Speed and Mobius collections all filled with some great key products. I left the big brands in the late 90’s and started businesses consulting and inventing new licensed footwear technologies like the K-Swiss Tongue Twister. You need to listen, learn fast, adapt and think young to stay ahead in this biz! For me, athletic footwear has been a fantastic fit as a career choice and since 1980 I’ve enjoyed being part of its explosive growth and evolution.